Each Wednesday through August 27th, countless downtown restaurants and bars will be participating in this fantastic summer deal. 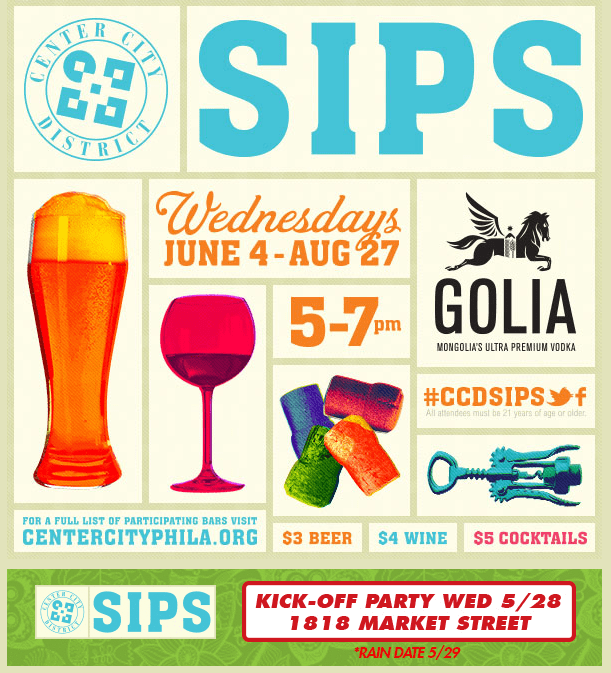 Center City Sips offers $6 cocktails, $5 wine, $4 beer and half-priced appetizers from the hours of 5 pm-7pm. This will be a great way to take in the blissful summer rays while sampling new menus and drinks each week. This wallet-friendly happy hour brings the masses out each year. Philadelphia is a major spanning city. It’s always brimming with exciting new activities and things to do each week. Sometimes answering the simple question of where to eat or get a quick drink can be overwhelming. Each week Philly Influencer will highlight some new places and local favorites to add to your list. Balcony Bar: The Kimmel Center’s Balcony Bar opens this week. The great patio bar gives you phenomenal views of Center City and the Avenue of the Arts. This Wednesday, be sure to stop by the Kimmel Center for Sittin’ In, for some wonderful live music at this free dance party. 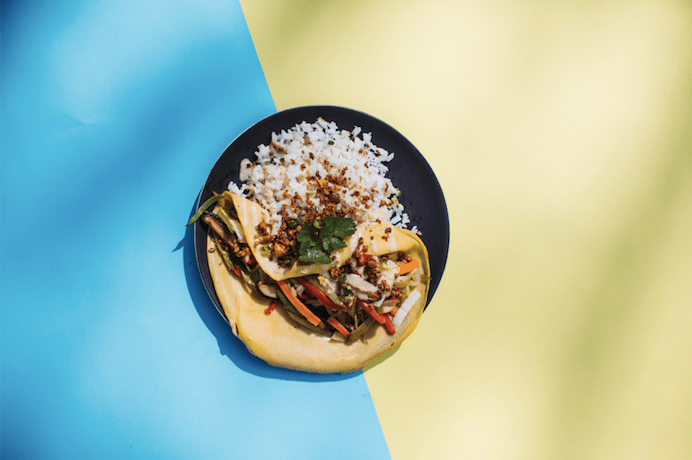 Lalo: Lalo is bringing the tantalizing flavors and delicious cuisine from the Philipines to the City of Brotherly Love this summer. The Bourse Marketplace eatery will give you the best in Filipino comfort foods on its rotating, locally-sourced, and ingredient-driven menu. The once Manila-based trio of Neal Santos, Jillian Encarnacion, and Resa Mueller will be creating phenomenal options for any palate this season. San Miguel beer and a wide variety of craft cocktails will also be served. Red Owl Tavern: Old City restaurant Red Owl Tavern is offering up this stellar medley of seafood and brews to enhance your Mondays. Fresh catch lovers come out every Mondays for their $25 Lobster Clambakes. The Independence Mall hub is offering up their new Philly Pot which includes “locally crafted beer-based broth with a heady mix of garlic, butter, lobster stock and fresh herbs.” This month’s infused craft beer will be Victory’s Summer Love. This special will also be available next Friday, June 15th for National Lobster Day. Square 1682: Downtown American and modern culinary spot Square 1682 is a great place to go for tremendous dishes and a trendy atmosphere. Each Saturday and Sunday the restaurant has BYOD (Bring Your Own Dog) benefiting PSCA. The outdoor seating will be open and every dollar from every chef-crafted dog bowl will go to the Pennsylvania Society for the Prevention of Cruelty of Animals. Also every first Sunday from 11 am-2pm the establishment will have adoptable dogs. Parks on Tap: Parks On Tap is at Matthias Baldwin Park this week. Come out for many craft beers on tap, a fun time with friends, food trucks, hammocks, and more. On Thursday from 6 p.m.-7 p.m., there will be free yoga in the park. The hours for this roaming beer garden are Wednesday and Thursday 5 pm – 10 pm, Friday 4 pm – 11 pm, Saturday 1 pm- 11 m, and Sunday 12 pm – 10 pm. Wall Ball: Mural Arts has been shifting the visual landscape of street in this city for years. This Thursday night is their annual Wall Ball fundraiser. There will be an art auction, photo booth, live music, and more, drinks, dancing, and more. Made@Bok Summer Market: Creatives will be flocking to Bok Bar this Thursday. The rooftop bar will have several ceramics artists, painters, sculptors, clothing vendors, and more lining the structure. There will be drinks, food, and live entertainment. The hours for this event are 5 pm-8 pm. 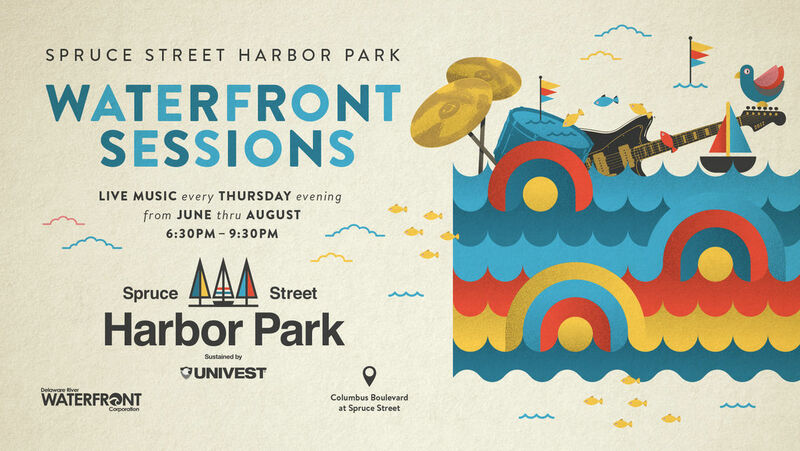 Waterfront Sessions: Every Thursday from June to September, Spruce Street Harbor Park will be hosting this amazing and free musical experience. Come out each week to hear talented and emerging local artists. This week’s act will be indie-alternative act Harmony Woods w/ DJ John Vettese. The June featured beer at this colorful beer garden is Leinenkugel Summer Shandy. During Waterfront Sessions they’re only $5 each. Baltimore Avenue Dollar Stroll: This Thursday is the Baltimore Avenue Dollar Stroll. From 5:30 pm-8:30 pm, participating locations in University City will be offering dollar deals for events, food, and much more. There will also be live music along the avenue and entertainment. Philadelphia International Festival of the Arts Street Fair: This Saturday, from 11 A.M. – 7 P.M., South and Broad to City Hall will be filled with plenty of Philadelphians enjoying this annual event. This city blowout will feature food, live music, performances, games and rides, art, and more. Bring your friends and family out for the Ferris Wheel, obstacle courses, and entertainment. Philadelphia VegFest: This Saturday, come to Bainbridge Green for the 2018 Philadelphia VegFest. From 11 am-4pm, there will be cooking workshops, discussions, live music, food vendors, and more at this plant-based life celebration. Booze & Tattoos: The TLA will be hosting Booze & Tattoos this Saturday night. 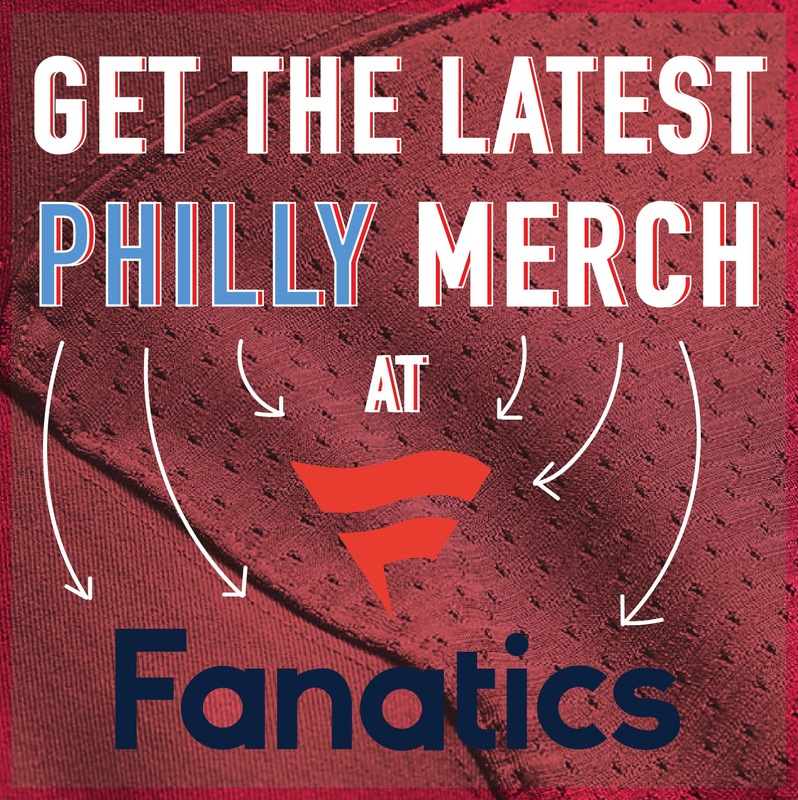 Come to South Philly to be tattooed by some talented ink artisans. There will be live music, food, drinks, and more at this tattooing and creative event. 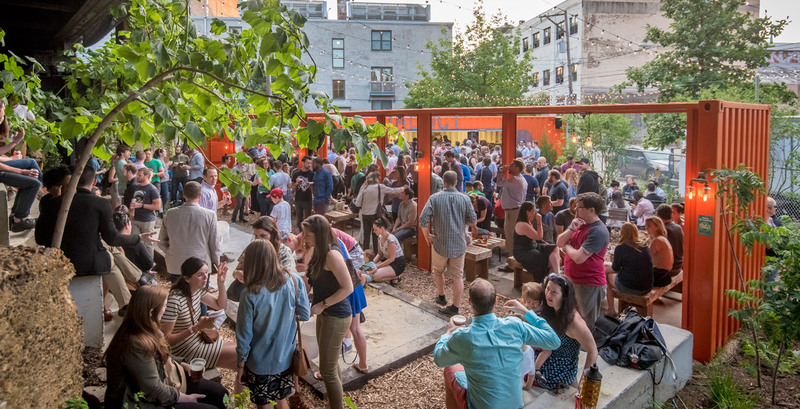 Fishtown FestivAle: This Saturday afternoon and evening the Frankford Hall, Johnny Brenda’s, and plenty other Fishtown hotspots will be serving up food and drinks. The Fishtown FestivAle will feature multiple music stages, local art, fireworks, carnival games, a flea market area, and 70 plus vendors. The hours of this massive block party are 12 pm-8 pm. You can follow Candis McLean on Twitter (@CandisRMcLean) and e-mail her atcandis.mclean@gmail.com. 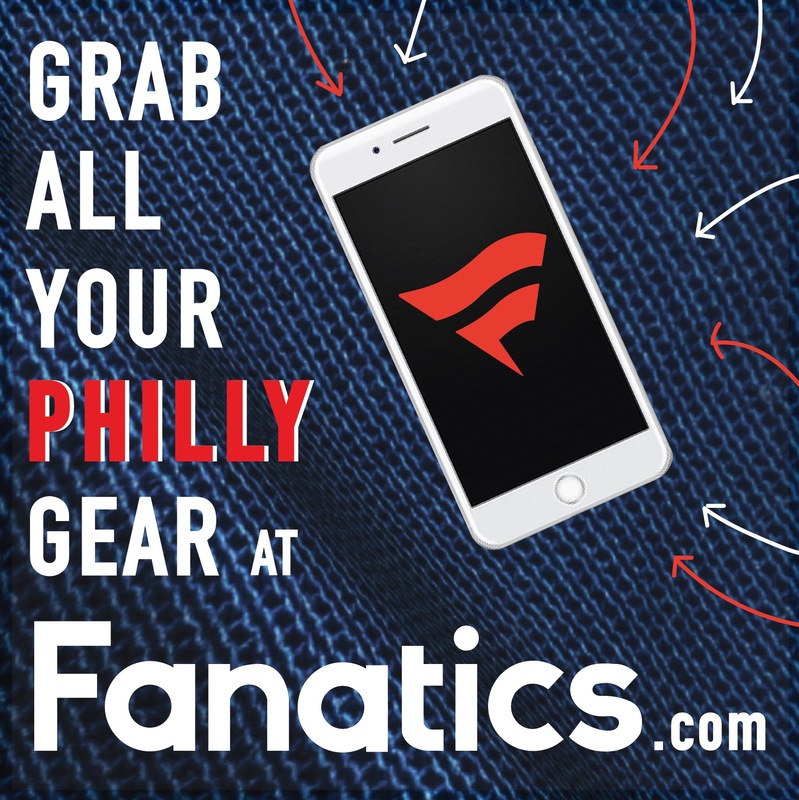 Follow Philly Influencer on Twitter (@PHL_Influencer),Facebook and Instagram.